We got a basic understanding of what is Cloud Foundry in the first blog post. Did SAP just grabbed Cloud Foundry and put its logo on it? Of course not. We have a very powerful database called HANA and a whole set of tools were already in place and being used by devs out there. 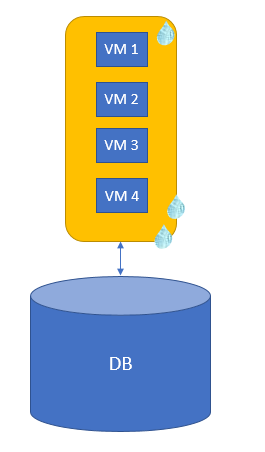 This was about combining existing capabilities and porting the already powerful onto the more scalable and multi-cloudable. Some of the Cloud Foundry characteristics were not adopted and the proper SAP adaptations were performed. What are Multi Target Applications? Typically, an enterprise application will access the database and have coding to add business logics to the data (or share data to another system, or nag a user for action, or insert more data, etc). This application is normally defined by somebody, coded and unit tested by someone (else), validated as a part of a bigger picture and finally moved to a productive environment. We call this lifecycle, right? More technically, we have a user interface, we have some logics and then we have the database. 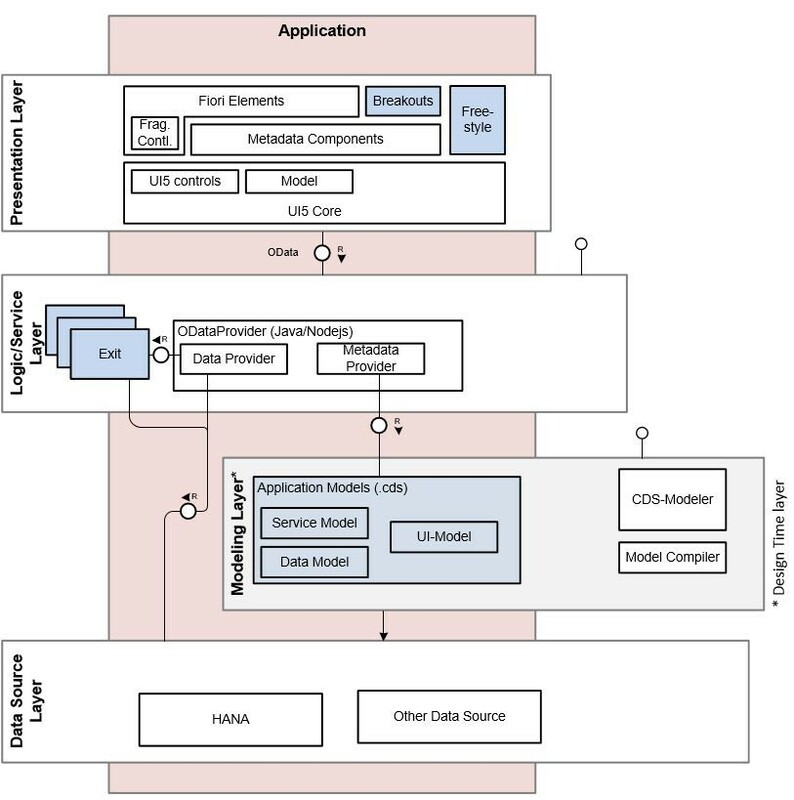 In our new architecture, each of these layers can be mapped to a different box in the XS Advanced architecture diagram (presentation layer at UI5, backend logics to Node.js or Java and the modelling and database at the base). First, let us respond to the original question. A Multi Target Application is an application whose runtimes are provided by the different boxes or components but only serves a business purpose if those components are held together through its lifecycle. 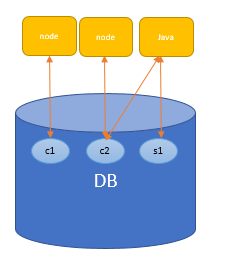 For example, you will develop a piece in UI5, another piece in Node.js and a CDS view that taps the database. Each of these could even be created by different developers or executed separately but they would make no sense unless they are treated as a single business application on its way to the productive environment. In the new approach, for the logics piece in Java or Node.js, a “copy” of the box (call it runtime) is created and bound to a specific application. Even the database binds a dedicated instance of itself to a single application in the shape of a container (note that I am not using the word “copy” for the database… that would be huge). Those copies of the runtime are called “microservices“… the name is not as fancy, but I can assure you it’s a bit tricky. Let’s stay in touch on Twitter or on LinkedIn ! many thanks for sharing these precious and helpful information! This is a much needed blog series you’ve started. While your content is good for me, I know of people developing mostly Calculation Views (some are not traditional programmers) who don’t understand why they need to move to WebIDE or why their very simple XS Classic package view of the world without complex security is not going to be supported in the distant future; and how this all fits in with BI Explorer in terms of migration. Hence would be great to have the dummy guide cover these “developers” also if you get a chance in the future. I’ve attempted to help, but from all respects, it looks like their simple approach to reporting will just get a lot more difficult for minimal benefits. Thanks for the input… I was not planning on going there but it is a very good question. I do not think I’m the right person to respond as I have not used Web IDE as intensively as HANA Studio for Calculation Views. There are some visible perks that I would have appreciated in HANA Studio that are now in Web IDE. I can quickly think of these examples now and of course they are my own personal impressions, so there is surely more to this. Thanks Lucia. I didn’t think you were going there, but wanted to point out that this is a really important dummy guide that is really required. Plus helps a lot getting a response from Rich! 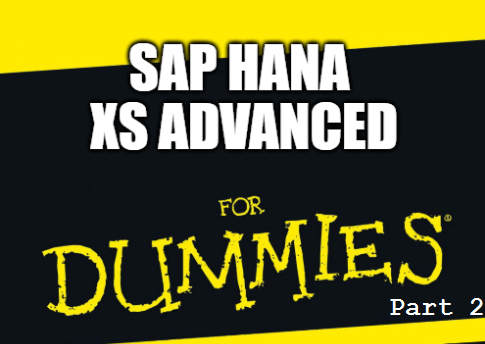 BTW – The other challenge is they are on SP11 with no real push to go to HANA 2.0 (even though this is HEC) as the length of support of HANA 2.0 SP is actually less than HANA 1.0 oddly enough, so the features you discuss aren’t quite up to par in that release. That said, really appreciate the pluses you mention. Yes, it is more complicated, especially around the security model. Those users who are used to only creating calc views in XSC might initially be turned off by the new environment. The actual object will migrate very nicely, without much manually manipulation. As far as exposing to BI tools, we can use the .hdbsysbicsynonym to expose our calc view from our container and make it look like it is in the _SYS_BIC schema, which will make it visible to the BI tools. As for minimal benefits, we would definitely not say the benefits are minimal. With the new concepts, you get better import/activation, better security with the container technical user, better management of both new development and fixes/patches at the same time having the integration with Git, etc. As a developer type, I can appreciate many of the benefits and have been encouraging them to migrate ASAP for quite some time. But for people working in a HANA Live (read-only data replication) environment directly creating Calculation Views in production; these benefits actually come across more as negative, but I do get your point. And the synonym sounds perfect to ease the transition, so that’s the biggest concern I had for ensuring end users who have created enormous Excel analytic spreadsheets or Lumira reports from published HANA views would not break. Anyway, maybe this is just another reason to wait for an upgrade to S4/HANA and this customer can just survive on SAP’s typical very long tail of supporting deprecated functionality! I created a new project in my XSA. 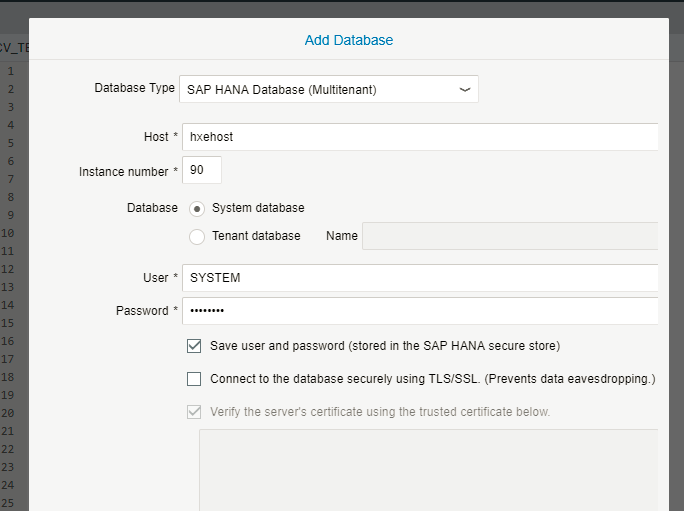 Now I am lost on how I can bring the Packages and views I had built using HANA studio. In the database explorer, I could see the schemas and tables but I can’t find the views anywhere. Please Help. I’ve gone through the documentation but couldn’t find any examples where an existing view was brought into the XSA screen. Also, can you please advice if there is a conversion process from calculation views to hdbcalculation views? I need to leverage the new null value handling feature for my existing views. Congrats being such a good story-teller! really Enjoyed reading. I mostly understood most of the part. still, a dumber part of me trying to relate or distinguish between ABAP programming paradigms or run-time (can it be called so?) to what you are trying to bring on here, and I think i could not. Can you explain it how is it different from developing logics (ok, back-end at the back I mean) is different from ABAP environment? i tried build my current practice in the attachment. and are there any ongoing stuff to add ABAP to XSA 🙂 ? 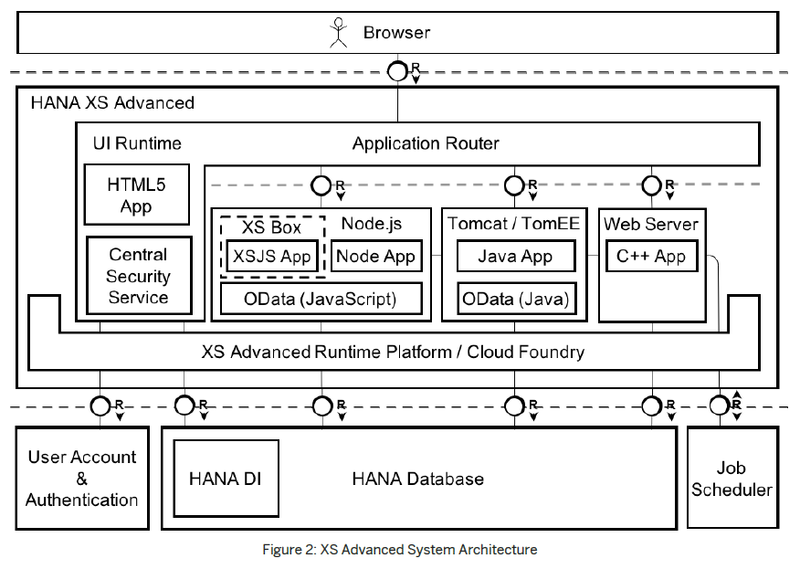 “currently there is no plan for getting ABAP layer into XSA or Web IDE for HANA. Web IDE is purely for Native HANA application development. So all S/4 HANA ABAP layer objects (like CDS, AMDP) are still going to be developed in Eclipse IDE (ABAP on HANA prospective) “. I think, this is very delayed response, it may help others. are there further information on future of XSA? is SAP going to develop or improve it further? are clients actively adopting it?